Thompsonville, MI – Crystal Mountain will offer free skiing and snowboarding from noon to 4:30 p.m. on Friday, when the Michigan ski and snowboard resort opens its slopes earlier than any season in the last 18 years. 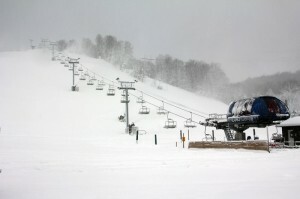 A collaborative effort between Mother Nature and Crystal Mountain’s snowmaking team over the last seven days will allow for opening of the resort’s Cheers lift and intermediate slope as well as two Magic Carpet conveyors in the Totem Park learning area a day earlier than originally planned. Lift tickets are free on Friday and can be picked up at the ticket window as skiers and boarders must have a ticket to ride the chairlift. Ski and snowboard rental (November 21-23, 27-30) is $30 for adults, $28 for teens, $25 for juniors (7-12) and seniors (65-79) and $12 for children (6 and under). 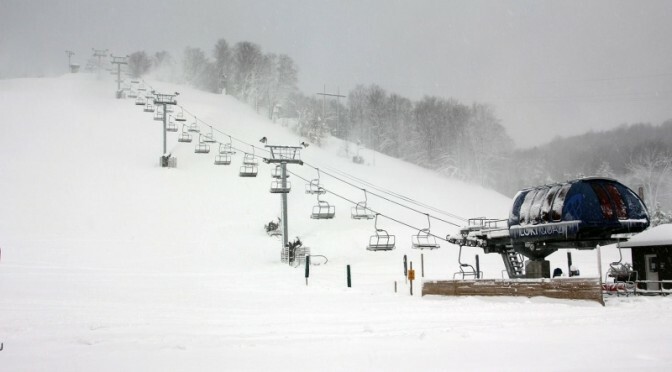 Crystal Mountain anticipates having ten slopes, two lifts and two Magic Carpets open from 9 a.m. to 4:30 p.m. on both Saturday and Sunday. The resort’s signature black diamond run Buck, along with Gorge, Lower Gorge, Gorge Glades, Cheers, Tuck’s Terrain Park, Giggles, Jester’s Alley, Main Street and Totem Park will be available to ski and ride, serviced by the Crystal Clipper high-speed quad and Buck quad chairlifts. Discounted lift tickets from $25 for Saturday and Sunday are available for advance purchase online at crystalmountain.com/tickets. Cost at the window is $42 adult, $36 teen, $30 junior (7-12)/senior (65-79), with six and under, and 80 and over both free. After Sunday the slopes will close until Thanksgiving Reconnect Weekend, Thursday, November 27 through Sunday, November 30. The holiday weekend also features the Tenth Annual Turkey Vulture Trot 5K benefiting Wings of Wonder (November 27), Holiday Trail Celebration (November 28) and First Light Celebration (November 29).